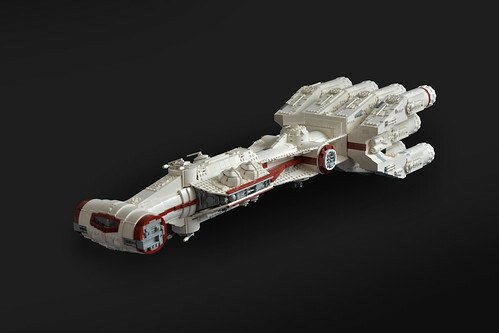 If you think about it, the Tantive IV - a CR90 corvette cruiser that serves the House of Organa - was the very first Star Wars spaceship people ever saw. 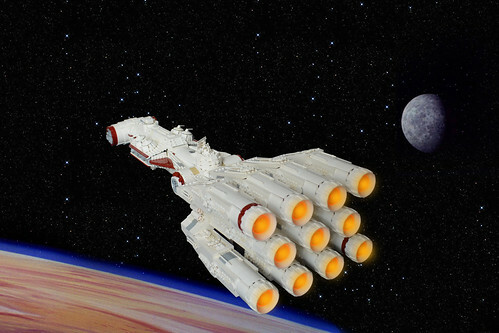 It's only fitting that we see it recreated very well in LEGO, as seen here with a model from Kit Bricksto. Its iconic shaping, its iconic thrusters, and its iconic colors are all represented in excellent form. Nice work, Kit! The LEGO is strong with this one.